An Acting Detective Chief Inspector in the Metropolitan Police is to face a misconduct meeting over his handling of a missing person case. 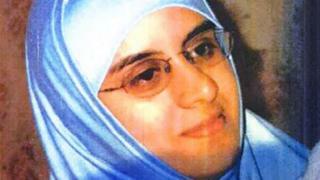 Saima Ahmed left her home in Wembley, northwest London, on 30 August 2015 and was reported missing the next day. The detective allegedly failed to pursue inquiries relating to her last known sighting, a police watchdog said. Her remains were eventually found in the grounds of a mansion and nearby golf club in Edinburgh in January 2016. To date, no suspicious circumstances have been found concerning Ms Ahmed's death. Her relatives said at the time it was uncharacteristic of the 36-year-old librarian to go missing and they subsequently complained about the Met Police's initial handling of the case. The force referred itself to the police watchdog, the Independent Police Complaints Commission (IPCC), on 18 January 2016. Following an investigation into five people the IPCC found the acting Det Ch Insp had a case to answer for misconduct. In the IPCC's opinion he failed to document his reasons for not following up the leads for Ms Ahmed's last known sighting, which may have breached professional standards. He now faces a misconduct meeting with the Met Police, where the maximum disciplinary outcome could be a final written warning. Other possible outcomes include no further action being taken, advice being issued by senior management and a written warning. Separately the IPCC found while Met Police officers were sent to visit the family quickly after receiving the initial missing persons' report, there were inconsistencies and omissions in their recording of information at that early stage. This meant some relevant details were unavailable to investigators and potentially affected the investigation and its risk assessments, it said. A spokesman for the Met Police said the force was complying with the IPCC recommendations and a misconduct meeting would be held in August. Two officers would face unsatisfactory performance procedures at a date yet to be fixed. they added.